I LOVE eyeshadow palettes. Those are decidedly my weakness. I showed you my favorite palettes a while ago, and here are all of my quads, aka 4-shadow palettes. 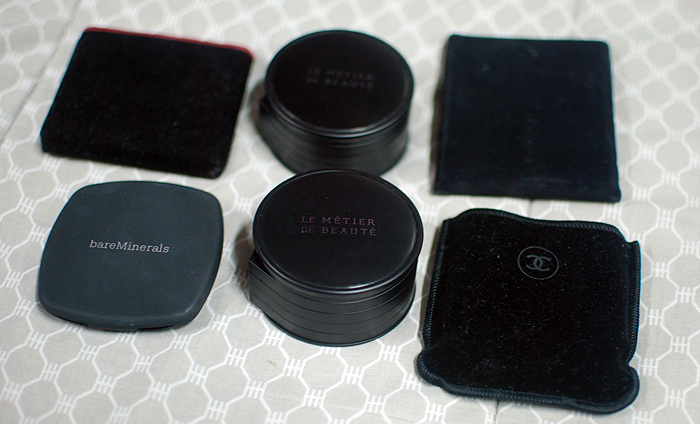 I have six in total, clockwise from the top left: Guerlain Les 4 Couleurs in Turandot, Le Métier de Beauté Kaleidoscope Eye Kit in Northern Lights, Suqqu Eyeshadow in Sumiredama, Chanel Ombres Fleuries in Délicatesse, Le Métier de Beauté Kaleidoscope Eye Kit in Silk Road, and bareMinerals READY 4.0 in The Happy Place. It’s very warm with a satin gold and pink, a matte sort of deep rose, and a somewhat shimmery brown. The Happy Place is a palette of pretty pinks and purples. 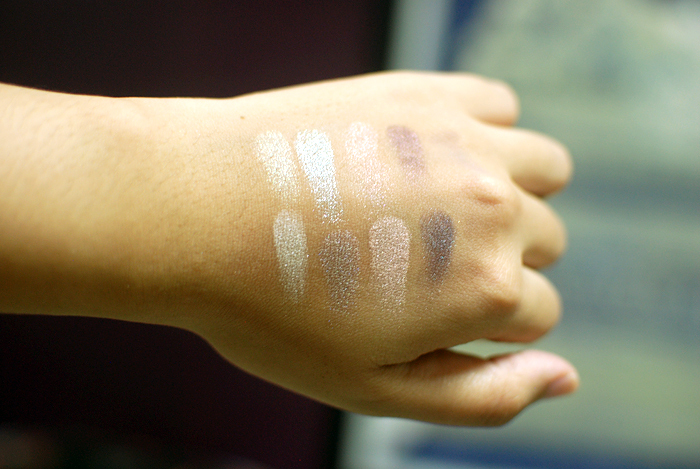 There are two mattes, a pinky cream and a dove grey, and two shimmers, a coral pink and a grape-y purple. 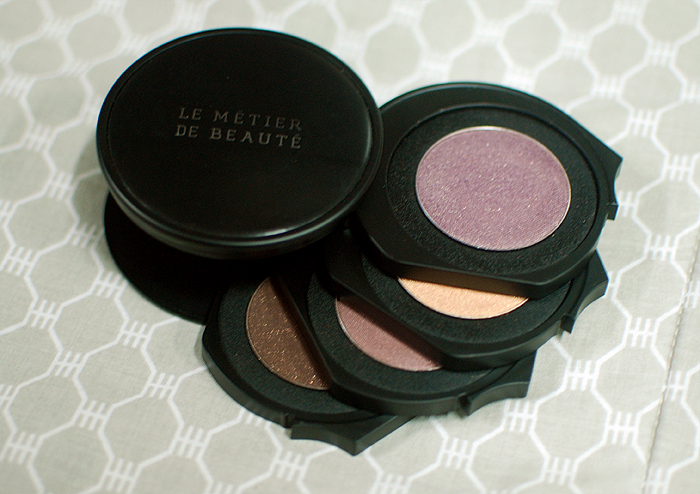 I have two Le Métier de Beauté Kaleidoscope Eye Kits in my possession. It’s become quite an obsession, but I’m trying very hard to stop buying more. 🙂 I really like their color combinations, though. If they release one with a grey-green, I may not be able to resist! The shadows are mostly satin shades: a pale pink cream, a pale blue, and a rusty orange. There was also a dark violet matte shadow. It has three satin shades: a light purple, a light orange-gold, and a deep purple with brown undertones. There is also a dark shimmery brown with gold flecks. 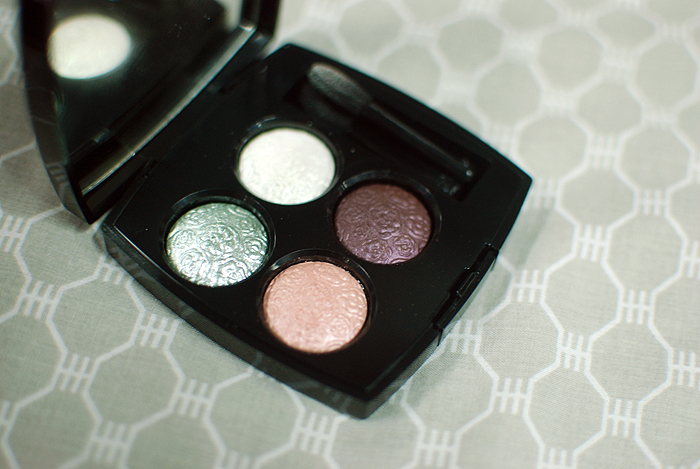 There is a pearly white-green duochrome, a glittery silver green, a light satin pink, and a satin pinky-purple. It is a very glittery and shimmery palette, with a light pink, a cool taupe-y brown, a blue-violet duochrome, and a light cream. 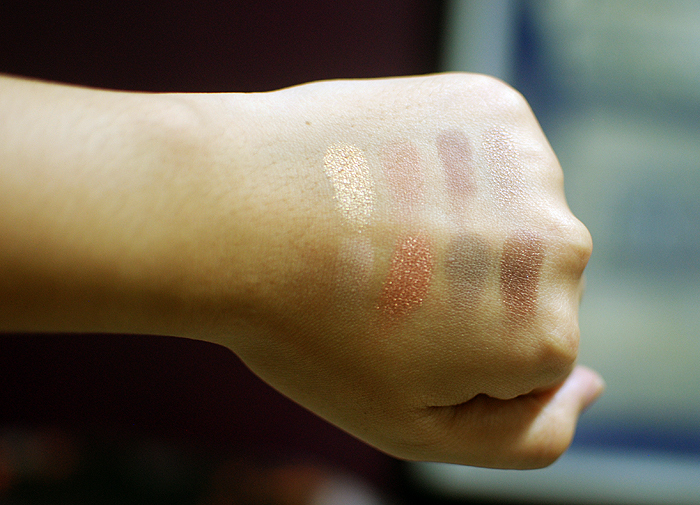 Here are the swatches, with Délicatesse on top and Sumiredama on the bottom. 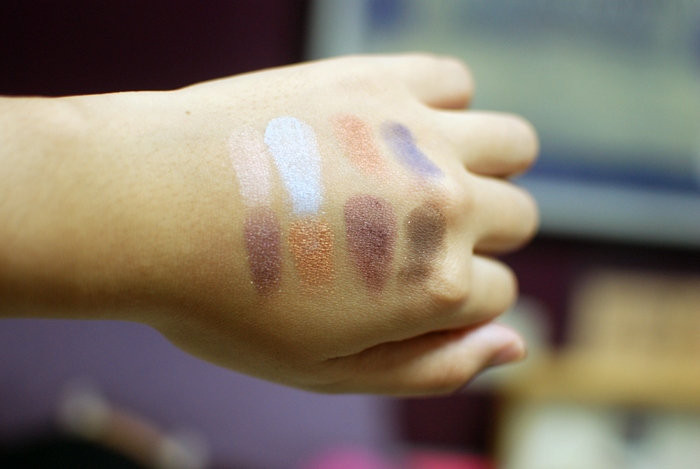 Funny how they similar they are, when swatched side by side. Do share your favorite quads. I thought I had more, actually, but it’s comforting to know that it’s not as bad as I thought! 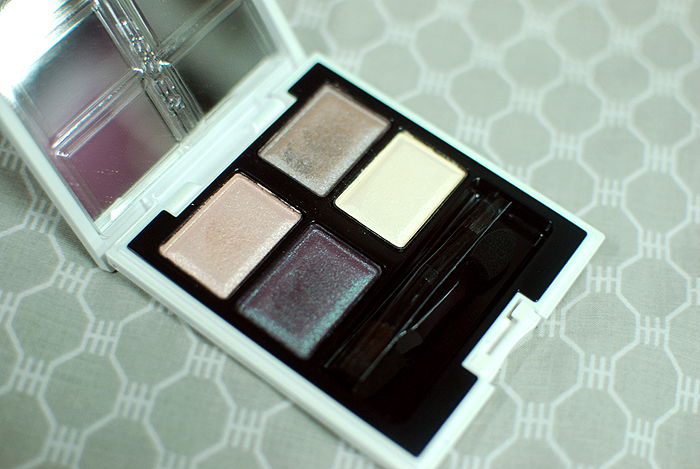 Your Chanel quad is sooo pretty! I love it when products have lovely packaging and delivers amazing colors too. Thank you! 🙂 I love that, too. It’s like an “YES! I win” feeling because it doesn’t feel like you got suckered into buying something just because it looked nice. Huh, I was gonna write that I don’t have any quads, but then I remembered that I do have a Kiko one, which shamefully I never use. 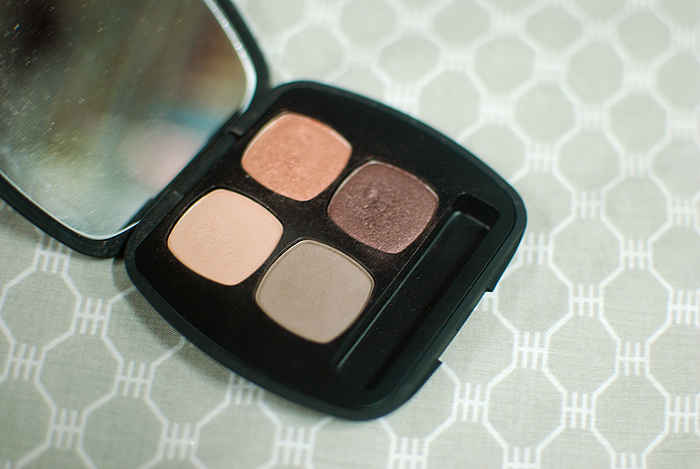 When it comes to eyeshadow palettes, do you stick to using shades only from one or you mix and match? I’m just curious how people do it, I never know if there’s one common way. I didn’t even know they made quads! 🙂 I’d love to see it, hehe. Out of curiosity, of course. I tend to stick with the colors if I don’t have the time to play around with them. I don’t really use ALL of the colors, so it’s really easier than picking from singles, sometimes. Other times, I’ll mix and match, though. Especially if I have a neutral I particularly like, to tone down a bright color, perhaps. I rarely mix and match from duos, though. About your email, I did! Sorry about not getting to reply ASAP. Work has been so stressful lately! It’s nice to see your stash, Carina! I like Silk Road the most out of the bunch. You definitely wear warmer shades better than I do! The color combination of Turandot will for sure make me look ill! Thanks, Sunny! 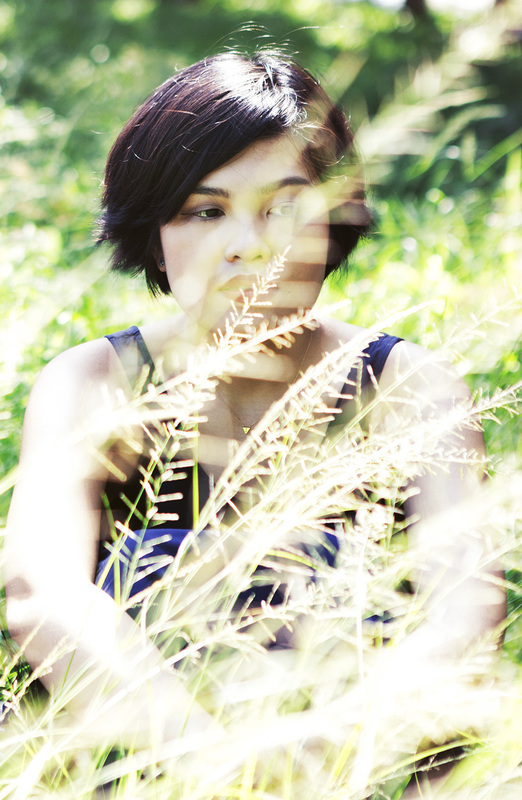 I was surprised that this was all I had, but then I remembered trios and duos and palettes… Hehe. 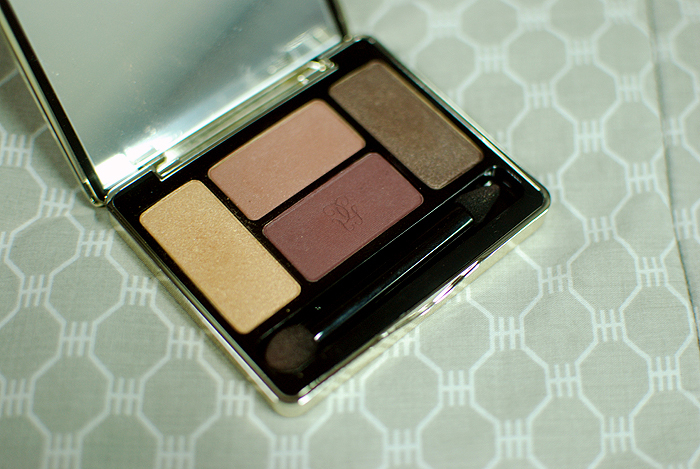 Are you neutral-toned? I can never figure out my real tone. I am warm-toned (mostly yellow with a pinch of olive), but strangely enough many very warm-toned shades make me look really ill (very warm coppers, for example), It takes everyone a while, and a lot of the times it’s a combination of a lot of factors I think. As long as you’re happy with the colors you’re wearing, I say you’re good to go! Ahhh I’m starting to think that that’s my “color-leanings” hehe, though I think I’m darker. It’s so hard to tell! But yeah, I agree, it really all boils down to preference at the end of the day. 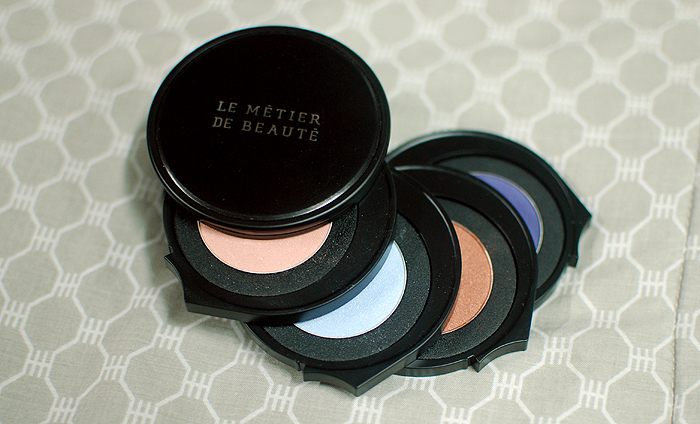 The Le Métier de Beauté of course are the prettiest looking quad, but in terms of the swatch I liked the Guerlain one the best. Thanks for showing us your collection! Thanks, Pat! 🙂 The LMdB Kaleidoscopes look very interesting but they also take up a lot of space! I do, too. 🙂 I’ve been eyeing other Guerlain quads but this seems to be my favorite.